Background story time. So, despite being very strong, my hair has always been very, very dry. It has a lot of natural texture and I have a lot of it. To tame it, I need two weapons: softening products and heat styling. Yes, yes, heat styling is very damaging, but I need to look minimally presentable. Without some sort of heat, I look like a mad lion. I like a messy-grungy look as much as the next person, but this is a whole other level of messy. Trust me. A few years back, I had perfect curls — big and bouncy ones —, so I could easily get away with some styling products and no heat. That's not the case anymore. Let's just say that my hair is in a quest to find it's natural shape. It's very confused at the moment and needs some sort of direction — that's when the flat iron comes to the rescue! Anyway, between being dry, frizzy, untamable and with all that heat styling and colouring, it needs some extra TLC. 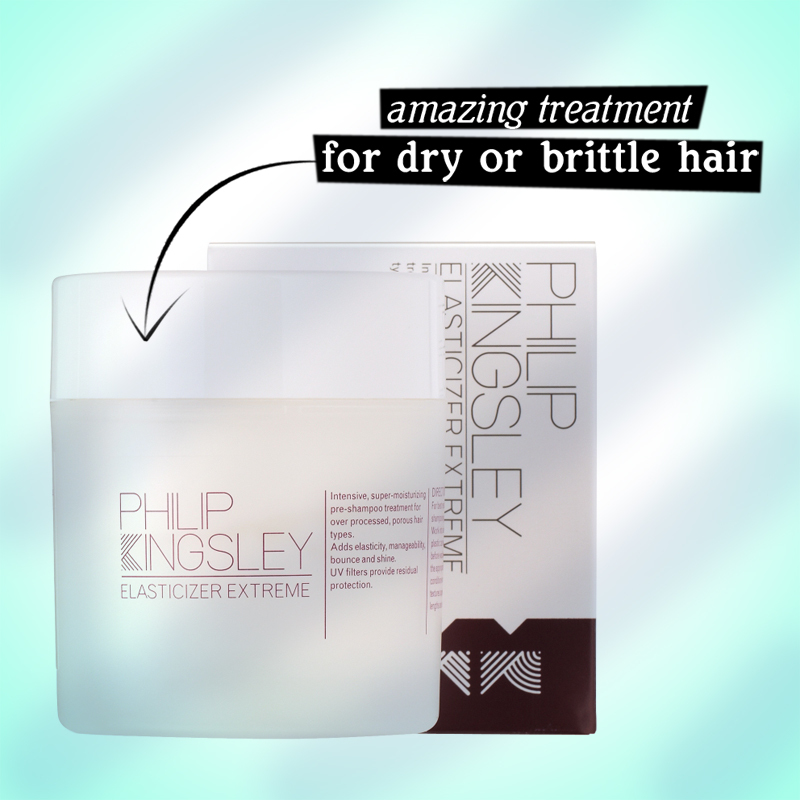 After a few clicks on the feelunique website, I stumble upon Philip Kingsley's Elasticizer Extreme — there's a regular Elasticizer version, as well. Considering that Kingsley "is the world's most respected authority on hair and scalp health" and all of those awards, the choice was more than obvious. This is one of those pre-shampoo treatments that you apply directly onto key sections of damp hair, work it in and leave for 10 to 20 minutes. I usually like to apply a face mask and watch a YouTube video, during this time. Then, rinse it and just wash and condition as usual. You're supposed to proceed with a scalp toner afterwards, but I don't use one. Now, you should use this regularly, but I have to admit that I do forget sometimes. Nevertheless, I did notice some amazing results: my hair has a softer feel, it's easier to style and there's a definite improvement on nourishment. Before, I had to apply a bit of oil one or two times per day, or else my hair would look very dry and lackluster. Now, I apply it just after washing it and it looks fine — I guess this is due to the Castor and Olive oils in the treatment's formula. Very, very pleased with the results. Oh, and an important note: you're not supposed to use it three days before or after chemical processing. That is all.